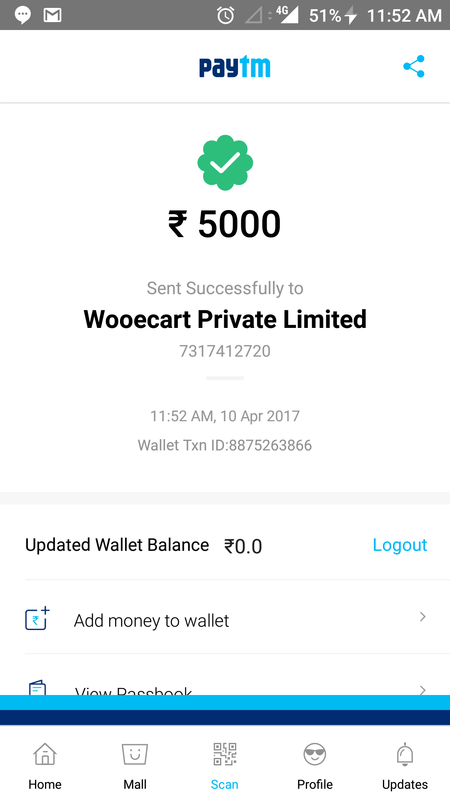 Please check as wooecart.com took 5000 money from paytm and didnt deliver any iphone6s. I saw this ad on facebook.com who seems to be a partner in this fraud too. Their website is gone and no reply on their watsapp contact number. Fraud with many people.